In 2018, China’s port inventory of the palm oil remained at a high level. According to SCI, the average port inventory from January to July in 2018 rose by 25.49% Y-O-Y. However, the palm oil inventory declined somewhat in H2 2018. Therefore, palm oil market players generally predicted that China would import more palm oil in 2018 and 2019, lending certain support to the palm oil market. In 2018, some soybean crushers restricted the use of electricity due to the high electricity consumption in summer, thus the growth of soybean oil supply slowed down. Considering the trade friction between China and the U.S., market players concerned the overall oil supply in the future. How would the price spread between soybean oil and palm oil change? How would the small and medium traders respond to supply structure changes? How would the downstream enterprises purchase or restock the feedstock? How would the demand pattern change? The palm oil price might show an uptrend in 2019. 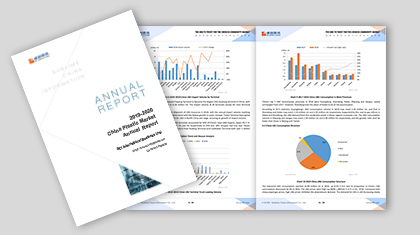 Based on the original data from China’s major supply enterprises, traders, downstream procurement enterprises etc., this report provides detailed reviews on the palm oil market in 2018 and makes multidimensional analysis of the import and export status, supply and demand patterns, profit changes, market sentiment fluctuations, etc. Moreover, this report offers scientific forecast on the palm oil market trends in 2019, aiming to help participants in the industry grasp the current market situation and future trends. 1. To present the current supply and demand changes and future development trends through the analysis of the supply and demand pattern of the palm oil in main producing areas. 2. To provide clearer correlation for clients through the tracking of price spread changes between soybean oil and palm oil. 3. To keep clients well informed of the supply status by offering China’s palm oil port inventory. 4. To give clients a comprehensive understanding of the price driving factors through the co-movement analysis of commodity market and palm oil price changes.